It may be a little change, but it packs a pretty big punch in terms of impact. 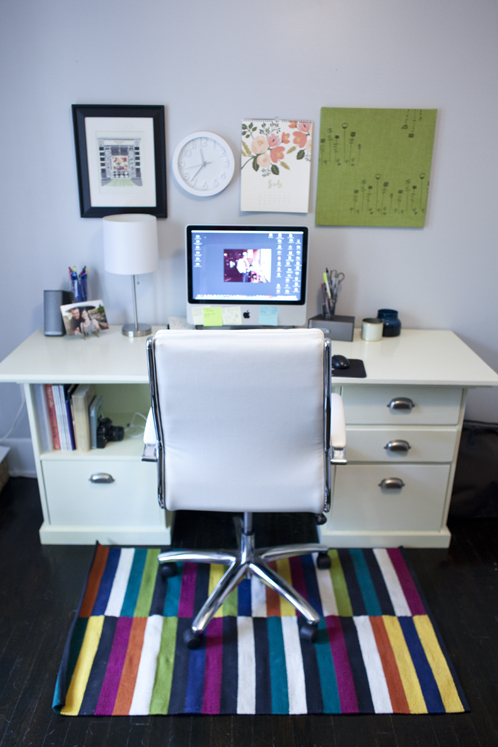 I have been on the hunt for some rugs for a our office for a while now. We love our hardwood floors, but our chairs can do some major damage to them. We’ve tried the felt pads under Matthew’s chair before, but they never actually stay on. While perusing the internet the other week, I came across a pretty fantastic sale at Crate and Barrel. 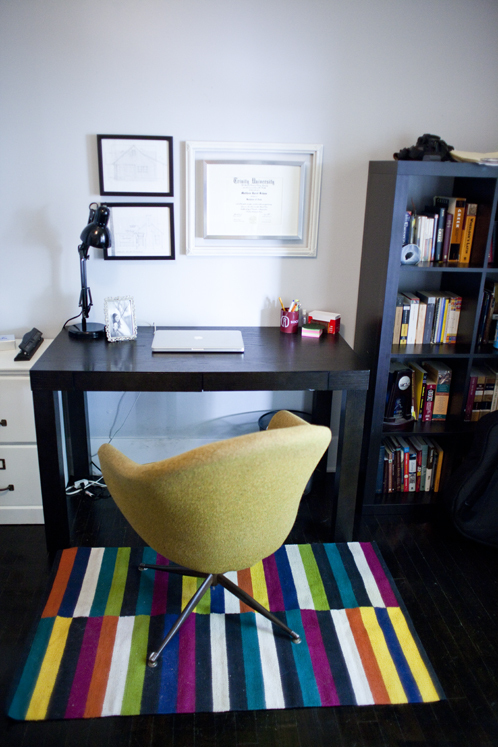 I scored two rugs for our office for about ten bucks a piece…perfect for for my noncommittal tendencies when it comes to making furniture/decorating decisions. With such a little investment in them, I won’t have trouble switching them out if we grow tired of them. 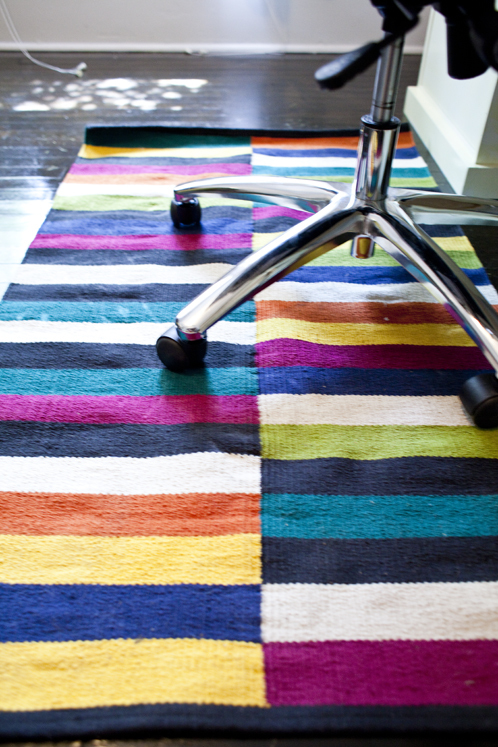 So, here they are…our new bold rugs. And finally, a side of the office that’s never been seen before – Matthew’s. Storage for him is going to continue to be an issue. He’s got so many books for his seminary classes and we’re only one year in. I think we have enough room for this year’s book haul. Next year we might be looking into more bookcases for him or building in some shelves. The two photos above his desk on the left side are two elevations we found left in the house after the last owner moved out. And on the right is his diploma from Trinity. He uses a chair that belonged to his grandparents and is part of a dining room set. We’ve got one more of the chairs to make a pair. I can’t believe what a good deal you got on those rugs! Love the color they add to that room! Rugs from Crate & Barrel for a total of $20?? Haley = winner.